This struck me. Ideas are very much like goals. That is what he means when he says they need to be honed down. Our goals must be relatable, or we must know how to relate those goals to others. Personally, nobody cares how fast I run, how much weight I lift, or how long I go for. What people care about is being able to relate. It’s always about the admiration of what were doing. It’s about the discovery and the shared emotions. If statistics go on to prove my merit or my strength, then it has a likely possibility of going beyond another’s fundamental understanding of what I am doing and why. The admiration of every element is essential in whatever it is we do. That is why we do it. I love the resolve that exercise gives. It is always refined and enhances the values that I pursue. It doesn’t matter what level anybody is at. When I am on top of what makes me feel great, finding and connecting with people come with ease. What makes me feel great is that connection, and the expression of strength is so vast and eclectic I wouldn’t want other people to care. I only want us to find our own passion. Our own drive. Our own efforts. One of the most admirable qualities I love about people is that our ambition never dies. It is always here. There is always hope. No matter how slim. Even when I talk to those in dire situations, they still believe there is a chance. That is epic to me. We may get our expectations out of sorts, but the ambition is always true. When ambition is aligned with a relatable, understandable goal, one that feels true to your gut, then a person cannot be stopped. Then people can come together and potentialize a dream. A real dream. Not a fantasy. We don’t have far to go. We just have to go in a different direction. What that means is that many of us just have to turn around and face the wind, rather than having it push us against the back. I don’t know what your goal is. I don’t know if you have a great dream or a wish, but I do know something great is alive in you, and it wants to be set into motion. I say go for it. I’m not holding you back. Nobody is. 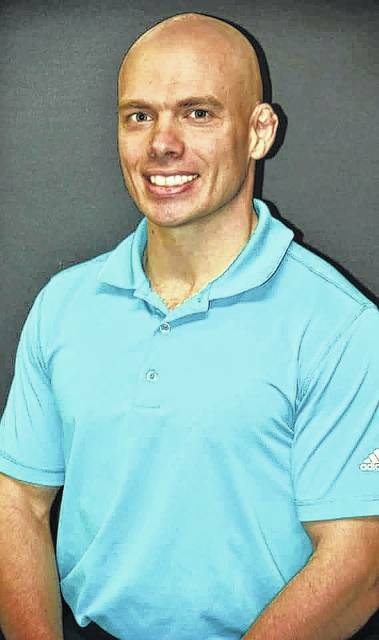 Trey Tompkins is a local resident who writes fitness columns for the Record-Herald, a publication of AIM Media Midwest.